The International Astronomical Union wants people around the world to cast their votes to name alien worlds as part of a new competition. Do you want to help name an alien planet? Starting next year, space fans around the world will get the chance to vote on their favorite names for worlds beyond our solar system. In a first, the International Astronomical Union (IAU) in charge of naming heavenly bodies will open its exoplanet naming process to the world in 2015 in the form of a public vote. Representatives with the IAU announced the new naming project, called NameExoWorlds, today (July 9). "These exoplanets belong to 260 exoplanetary systems comprising one to five members, in addition to the host star. These systems and their host star together are here referred to as ExoWorlds," representatives with the IAU said in a statement. "Their list is published on the NameExoWorlds.org website." In September, the astronomy group will open up registration to astronomy clubs and nonprofits that wish to name the alien worlds, according to the IAU. 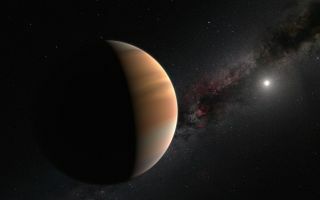 Members of the clubs and other groups will vote for the top 20 to 30 exoplanetary systems they want to name in October; in December, the groups will submit their proposals for names. The IAU will oversee the proposals and then open the competition to the public in March 2015, when it will ask space fans to rank the proposed names for the alien planets and stars. "People have been naming celestial objects for millennia, long before any scientific system of names ever existed," IAU representatives said in the same statement. "Even today, almost every civilization and culture uses common names to describe the stars and planets visible to the naked eye, as well as their apparent distribution on the sky — constellations, asterisms [star patterns], etc." After votes are cast, the IAU will oversee and validate winning names in July 2015. IAU officials plan to announce the results in August 2015. Groups cannot propose names of pet animals, principally commercial names or names of living people. Additionally, groups cannot propose names of individuals, events or places mainly known for political, military or religious activities. Names cannot be protected by trademark or protected by intellectual property law. Winning names won't replace the scientific designation (the scientific name of the star followed by a letter, for example: Kepler-22b). However, the IAU will recognize the name as a legitimate, publicly used name. Scientists have discovered more than 1,700 exoplanets, according to some catalogs. The first exoplanet was found in 1992. The IAU is partnering with Zooniverse, an organization focused on citizen science, to make the NameExoWorlds contest a reality. To learn more about exoplanet naming and the IAU, visit: http://www.iau.org/public/themes/naming_exoplanets/.